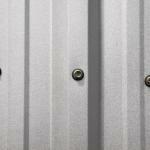 Absolute Steel carries a full line of Fabral’s high quality metal roofing products. We are proud to announce that Fabral has received Energy Star Approval on many of their metal roofing products. This includes roofing systems constructed using unpainted Galvalume and clear acrylic coated Galvalume as well as both architectural and wood frame products in standard colors. For more information along with a list of colors included in the Energy Star program, you can feel free to contact Absolute Steel. We can also provide you with a review of colors, initial values of reflectivity and emissivity. Although there is no specific requirements set by the Energy Star program for emissivity, we have compiled this data for other entities such as the LEED program. Additionally, all of our standard or Energy Star approved colors were further tested by the LEED or ASTM E408 testing program. Specific requirements were also established for both sloped and steep roofs to qualify for Energy Star approval. 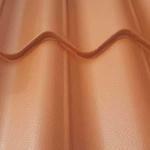 For example, to qualify with a sloped roof, that is having a 2:12 pitch or less, there are reflectance guidelines. When initially installing the roof, the reflectance must meet a minimum of 0.65. However, after three years, it needs to maintain a reflectance of 0.50 or higher to qualify. On the contrary, a steep roof that is greater than a 2:12 pitch, will need to give off a reflection of 0.25 when initially installed but only 0.15 after a few years. In both cases, Galvalume ran a series of tests to ensure they met or even exceeded these standards. Thus, Fabral qualified for approval for most standard and even some special colors on both steep and sloped roof designs. It is important to note however that although our Kynar colors of both bone and regal white passed the requirements for the severe sloped or 12:12 pitched roof, they were tested after a three year period which does not necessarily meet the specifications which requires that it be a 2:12 pitch roof. Consequently, these colors have only received Energy Star approval for the steep roof. Our painting vendor is currently re-testing the Kynar colors on sloped roofs and although the results are a few years away, we are confident we will meet or even exceed the requirements. A more specific report concerning this and other testing processes is available if needed. Established by the Environmental Protection Agency or EPA, the Energy Star Program was created for the advancement of highlight reflective roofs. The idea behind this promotion is that these roofs reflect solar radiation thus resulting in a cooling of the roofing service. Consequently, less energy use will be required to cool the home with air conditioning and other cooling sources. Along with minimizing the use of electricity, this will also cut down upon air pollutants which is better for the environment. 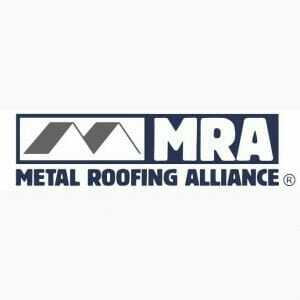 Various states are further supporting the Energy Star Program and thus requiring the use of more environmentally friendly construction products such as metal roofs. While New York and California actively move in this direction, there are many other states adopting similar programs. And for this reason, builders and architects are diligently seeking for energy efficient and recycled products to be used in their construction efforts. 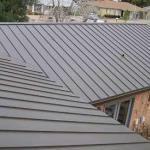 Because darker roofs are less reflective than lighter colors, they are not as environmentally friendly. However, many architects and builders still prefer darker colors although they do not meet energy star standards. You can solve this problem however by special ordering paint colors that contain infrared reflective pigments. In this way you meet the desires of the customer while also qualifying for the Energy Star program. Finally, homeowners opting to use this energy saving product in their construction project may receive credit from the Internal Revenue Service. Extended to 2011, Fabral painted metal roofs will qualify homeowners for a credit of as much as $500. This qualifies for complete roofing projects or reroofing as long as the painted metal roofing meets all of the program requirements. The percentage of the credit is strictly based upon the cost of materials less installation, and although the unpainted roof products are also approved by the Energy Star program, they do not qualify however for the tax credit. Additionally, only some colors from the Grandrib 3 line qualify. For more information, refer to IRS tax form 5695. Should you have a homeowner interested in pursuing the IRS tax credit, you will first need to provide them with a copy of Fabral’s “Manufacturer’s Certification Statement”. 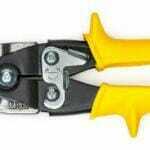 This document should be kept in the homeowner’s tax files for future reference if needed.